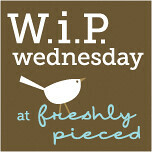 Today’s Wednesday’s work in progress – this idea is so great as it keeps me on task so I can share the progress I am making on the various projects I have going. 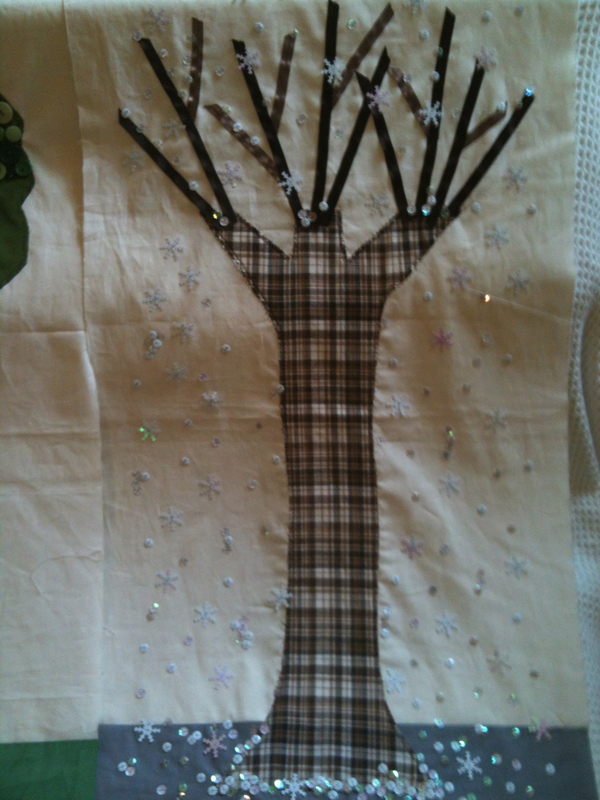 This week I wanted to share where I am up to with the four seasons quilt. 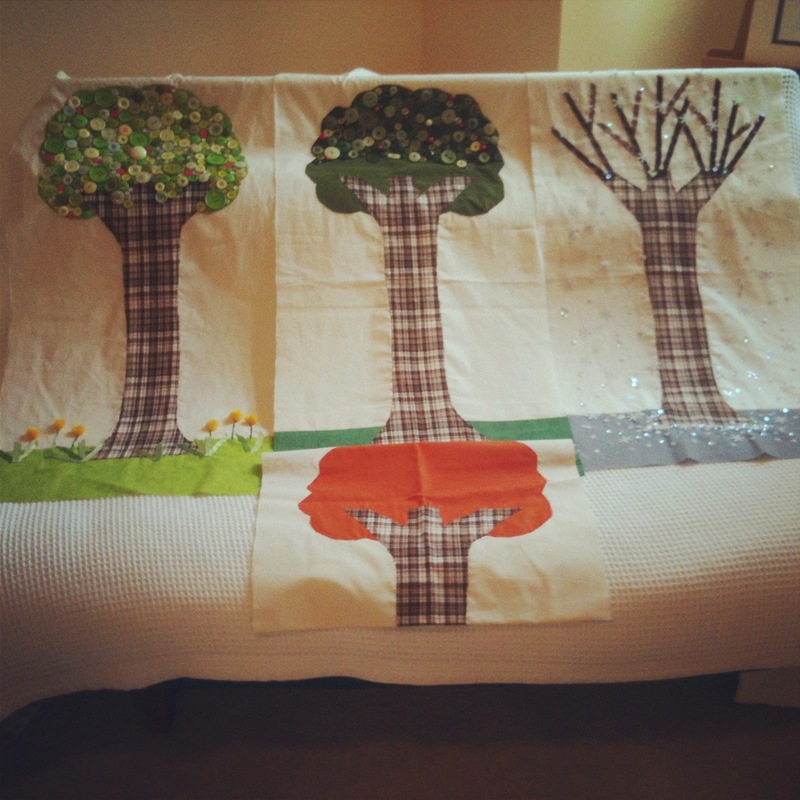 The front of this quilt has four panels representing an apple tree for each season. I now have Spring and Winter complete…Summer is underway with darker green leaves and apples. I have blogged previously about this quilt which you can find here: last update and the first post. 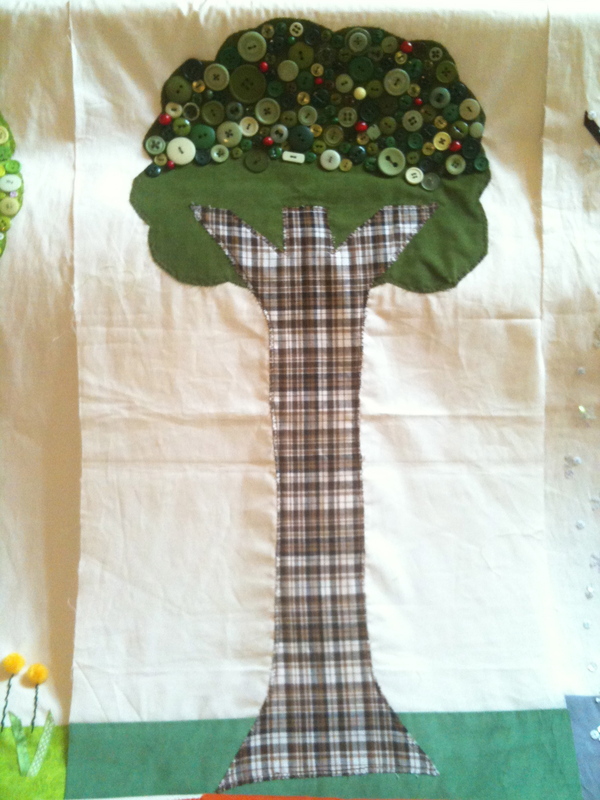 This entry was posted in Uncategorized and tagged apple tree, applique, buttons, designs, four season quilt, four seasons, projects, quilting, quilts, sewing, spring, summer, winter on October 31, 2012 by mlwilkie. Great idea! Did you use a pattern or your own? Thank you. I designed and drew the template.Once I finish it and work out the rest of the design, I plan to share the pattern/design. I love the use of the buttons. Really nice idea. 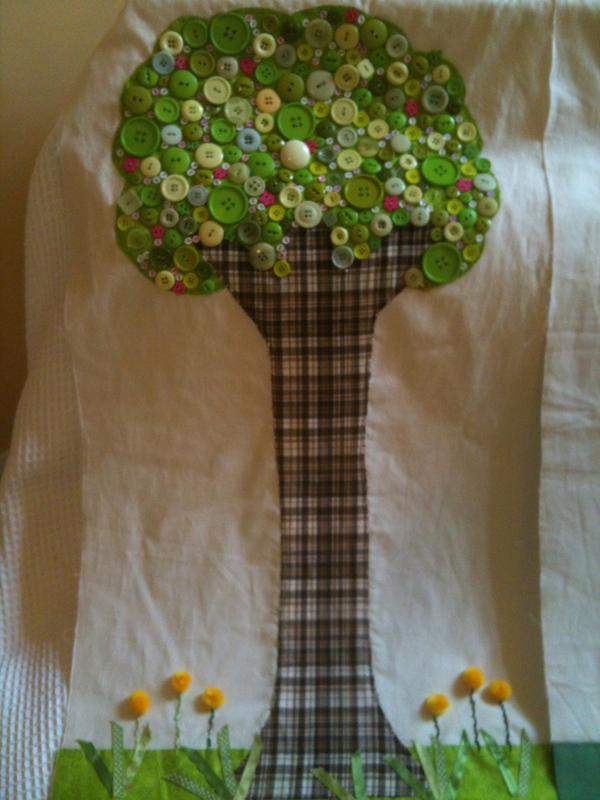 Thank you….it is a little tedious though – about 250 buttons on each tree (didn’t realize till it was too late).